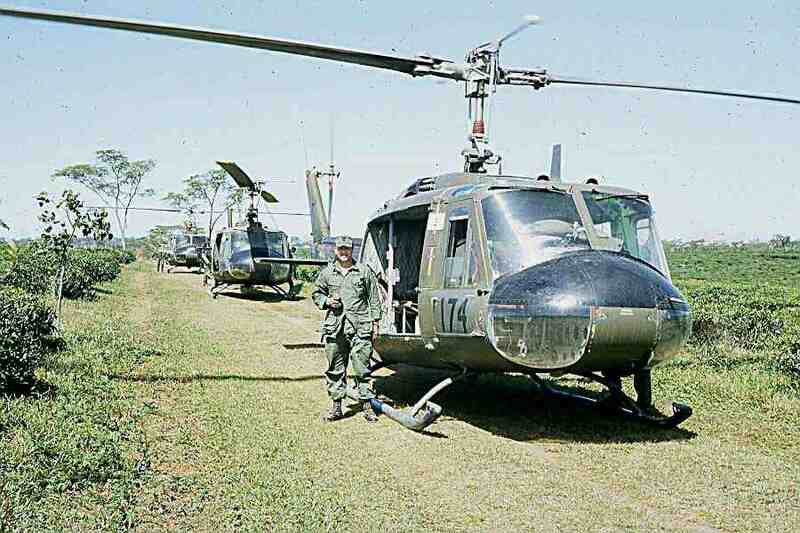 "This first photo is Captain John Banke beside Dolphin 946 early in 1967 at the massive Bao Loc tea plantation raid. 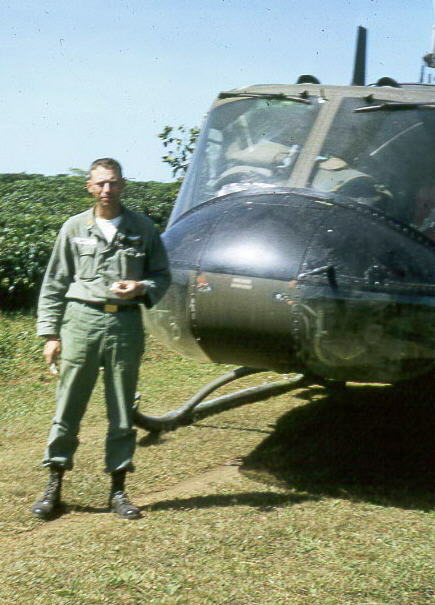 This was the POW rescue that was a failure--the camp was deserted by the time we got to it." Derald and John were flying together this day. It looks as though 546's right pilot's door may have been recently replaced. "Banke was one of the reserve officers illegally retained in-service at the end of his contracted tour of duty and sent to RVN."